They say that there are just seven original stories from which all others are derived. Hamlet, I think, has a little bit of everything and with the added spectacle of having all the principal characters bumped off in the last half hour. No winners, then, in this story of murder, lust and revenge except, of course, Fortinbras who was well out of it at the time. When Queen Gertrude broke the news of Ophelia’s death to Ophelia’s brother, Laertes, there was a sharp intake of breath and an audible ‘Oh, no!’ from a member of the audience sitting somewhere to the right of me. There, I thought, was somebody who was paying attention; but director Rob Kendall’s Hamlet, pruned to manageable proportions, popped along at a pace that did keep the audience seriously engaged in the unfolding tragedy. By luck or design (or both) Tom Morath was an inspired choice to play Hamlet. A pleasure to watch, with clear diction (essential when I’m trying to follow Shakespeare) and a facial expression to suit every occasion, he brought a unique style of life and vitality to the character. Brilliant. Good acting from Amy Whitestone as Ophelia ranging throughout the evening from the vivacious, confident and assured object of Hamlet’s love to the despairing and haunted shadow she had been reduced to. Good stuff. Three newcomers to the Masque: James Lickman, Aaron Mackenzie and Kevin Evans didn’t disappoint and I look forward to seeing them in future Masque productions. Victor Guse gave a weighty performance as the ghost of Hamlet’s father whilst looking like death warmed up (thanks to make up I should add). Shock of the evening was grave-digger Mark Mortimer’s head popping up from beneath the stage. Nearly jumped out of my seat. Had he been lying under there all night? Good acting all round; not enough room to mention everyone by name but the whole is only as good as the sum of its parts and those in the audience who, like myself, hadn’t seen it before couldn’t have had a better introduction to a play seldom performed on the amateur stage. Some of you know that the title role of Hamlet has more individual lines than any other Shakespearian character and is one of WS’s longest plays: four hours if played as full text. I’ve tried to cut it down to two hours given that it'll be performed in the open-air, etc. 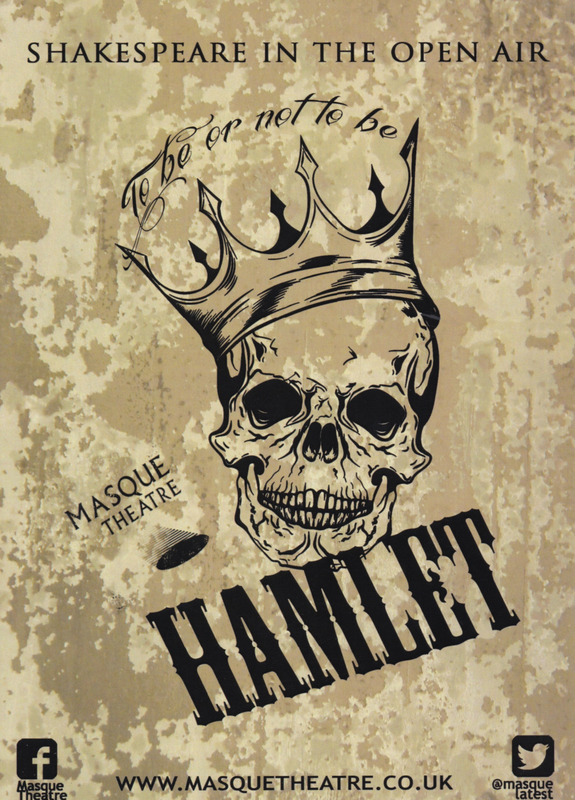 But Hamlet is also a first for Masque as the group has never performed it! Despite my previous incarnation as a drama teacher (I taught the play for eight years - probably seven and half longer than it took WS to write it) it took four attempts to reduce the script to two hours' duration, which I think I’ve achieved, give or take a bit. It is a difficult process when you’ve had over 30 actors audition for parts, most of whom have been cast, and also a disinclination to cut well-known lines. However, since the audition and a few shape shifts of cast, I’m very pleased to tell you that Hamlet is to be played by Tom Morath (Masque Youth Theatre leader and last seen for Masque Theatre in Nicholas Nickleby) and Amy Whitestone (MYT leader too) as Ophelia. 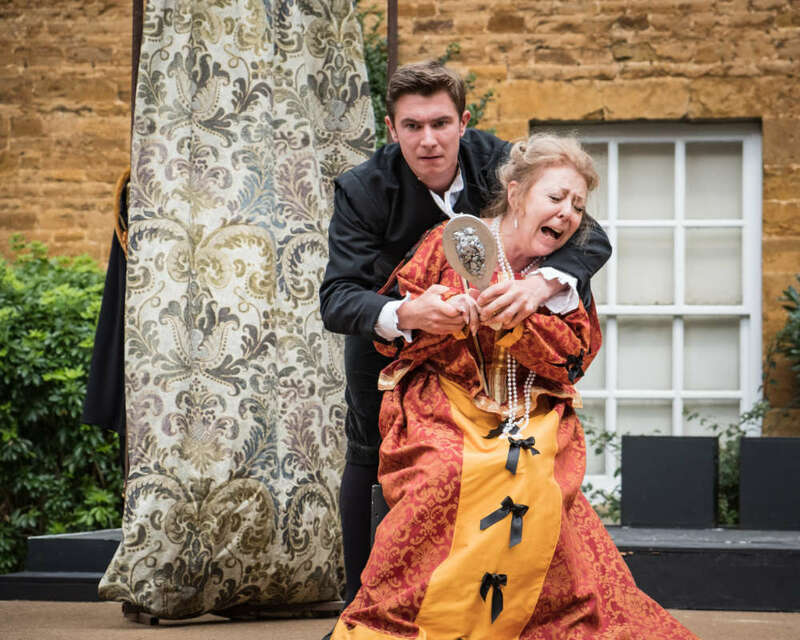 John Myhill is King Claudius, Jan Stoppani Queen Gertrude - Hamlet’s mum, with Barry Dougall as the busy-body courtier Polonious. New to Masque is James Lickman as Leartes, and fresh from last year's A Midsummer Night's Dream and Women in Mind is Ciaran Redmond as Horatio. 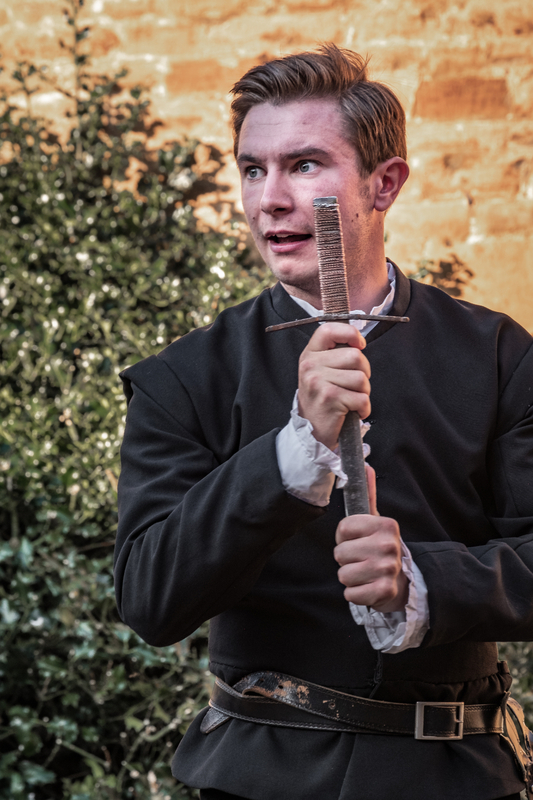 Mark Mortimer is the ‘grave-digger’ of ‘Alas poor Yorick' fame. 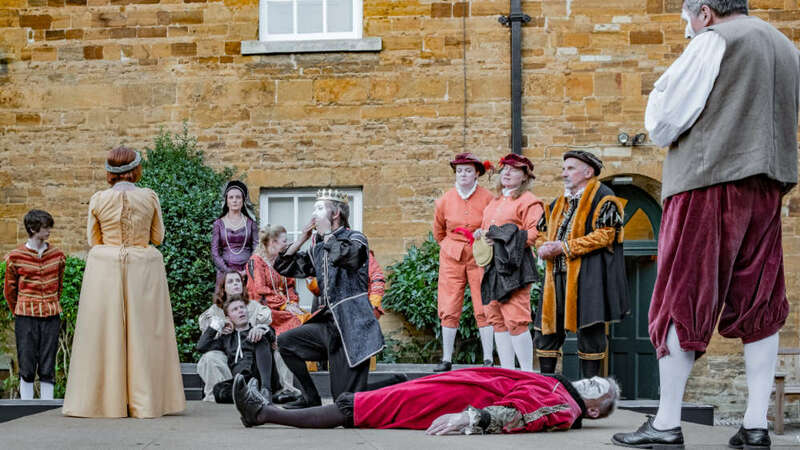 The large cast in period costume is further complimented by Bev Webster and Mairead Kearins as Rozencrantz and Guildenstern, April Pardoe as Oscric, with Roger Toone, Ian Bradley, Kevin Pinks, Sion Grace, Owen Warr, Sheila Jenkins and Ingrid Heymann. And new to Masque Aaron Mackenzie as Marcelous, and Kevin Evans as Lucianus. Costumes and stage management is by the erstwhile Clare Brittian, and Lighting Design by Megan Lucas. So don’t make Hamlet a 2C or not 2C, it is a MUST. Oh, and wrap-up warm!